World of Warcraft game director, Ion Hazzikostas, has provided additional details on the game’s upcoming major content update – Battle for Azeroth patch 8.1. As covered earlier this week, the update will hit the PTR very soon, and the game director detailed the 8.1 patch during a Twitch Stream yesterday. Tides of Vengeance will offer new World Quest and Incursions – attacks from the opposing faction similar to Assaults from the Legion expansion. Incursions can also be used to level alts that have unlocked world quests. 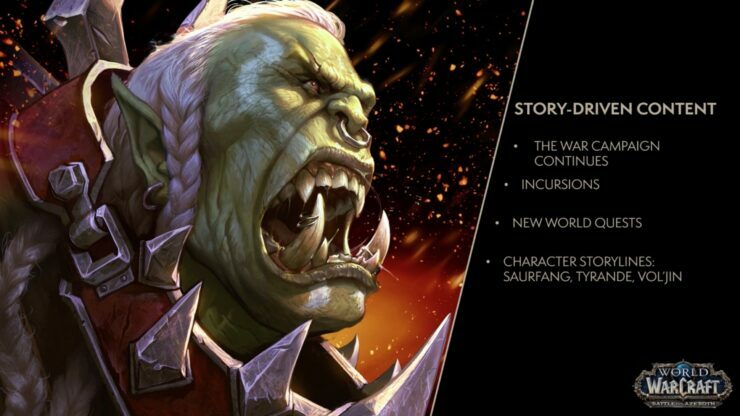 In the content update, new storylines will be added, including those of Saurfang, Tyrande and Vol’jin. “We’re going to be looking very closely at Saurfang, who as members of the Horde, we last saw languishing in the Stormwind stockades, lamenting lost honor,” the game director said. A major content update needs a new raid, and the 8.1 patch will include two of them – the Siege of Zuldazar and the Crucible of Storms. The Siege of Zuldazar will offer a total of 9 bosses, and is said to be quite different from previous raids. According to Ion, each faction will have a “completely separate experience”, and the Alliance will eventually battle King Rastakhan after having landed at the docks and having worked their way up to the pyramid. Horde players will fight the invaders down to the docks, and will battle various Alliance commanders including Jaina Proudmoore on the high seas. An interesting tidbit is that, once your raid has been completed, players can talk to scouts to get information on the other faction’s events which ensures that both factions can experience all nine bosses in the raid. 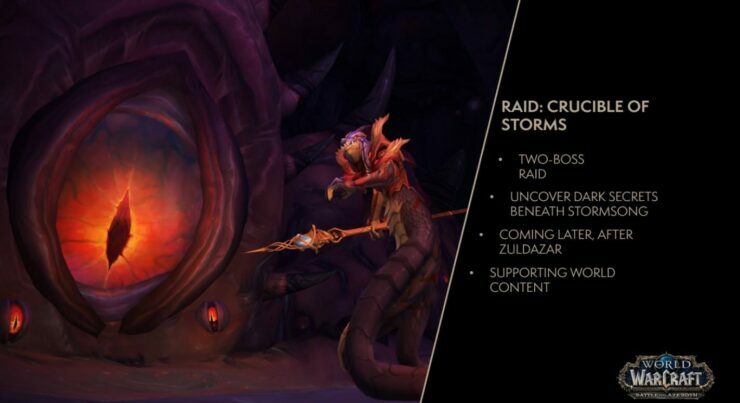 The Crucible of Storms raid is set after the events of the Siege of Zuldazar raid, and is a two-boss battle hinting at “dark secrets” under Stormsong. The 8.1 update will also bring new and updated Island Expeditions alongside Heritage Armor for both Dwarves and the Blood Elves. 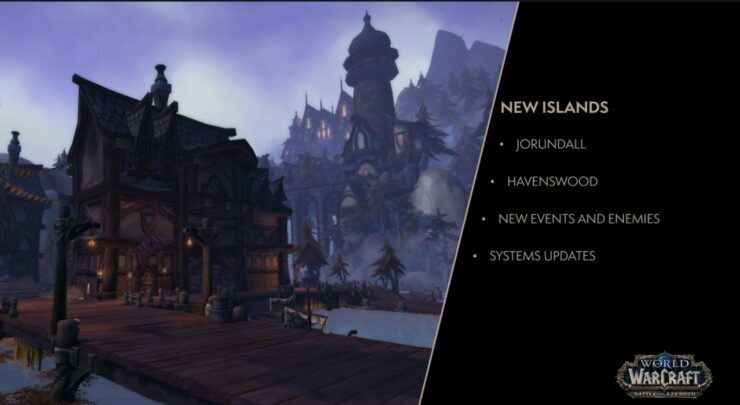 New islands to be added are Jorundall and Havenswood, which will both come with new enemies, events and holdouts that can be triggered. 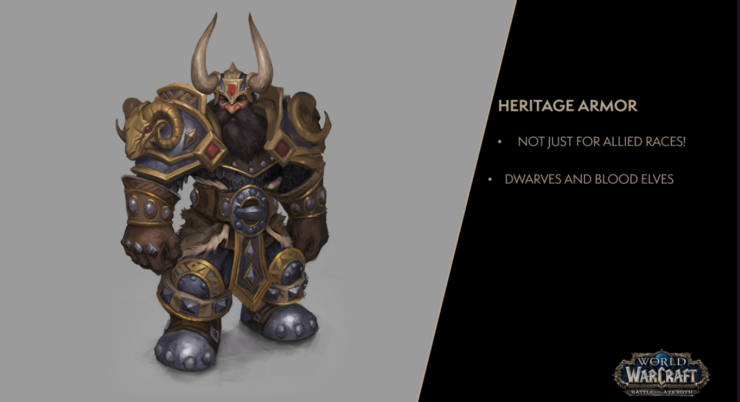 Heritage Armor won’t be exclusively available for Allied races, but will also be available for Blood Elves and Dwarves through special “racial questlines”. 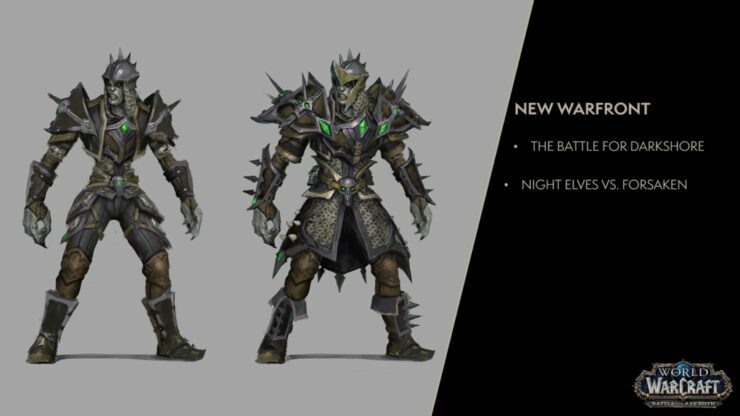 Other races are expected to receive Heritage Armor in the future as well. Last but not least, Tides of Vengeance will offers various system improvements, including the removal of reputation locks for faction transmogs. 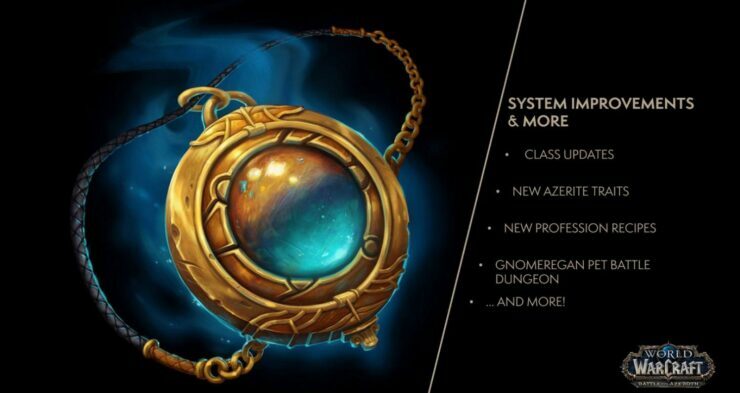 Also, players who have unlocked Champions of Azeroth reputation on one character, will unlock the reputation for their other characters as well. An exact release for Tides of Vengeance hasn’t been revealed but Hazzikostas has said that the team plans to release the content update on the PTR this week. Battle for Azeroth is available now for PC and Mac.